If you've attended our popular Tuesday Night Events featuring food, music by DJ Sean Prince, Libations by Kim Possible and shopped with our gifted artitst vendors, then you will love our new offering. LOVE 632 is introducing a Saturday French Market that is sure to become a popular Saturday Morning and Afternoon place-to-be in Los Angeles. Our French Sidewalk Market will serve Creole Latte's, and Beignets, Fresh Flowers, Fruit and areas where you may engage with th edifferent artists whose work and products will be featured weach week. 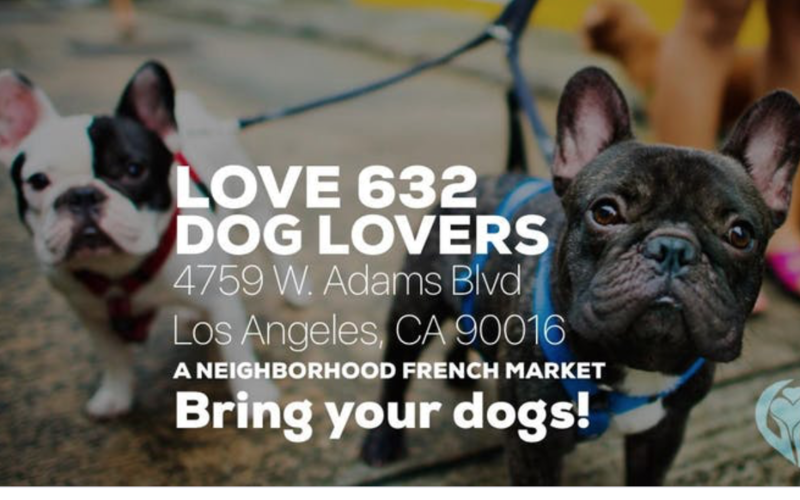 Since we at Love 632 are Dog Lovers, we encourage you to bring your dog to our French Markets, we will have water bowls and doggie treats. Come join us, we'd love to meet you (and your pet).